Clifford Miller (Chair), Byron Shankel (Treasurer), and Douglas Eshler (Secretary). 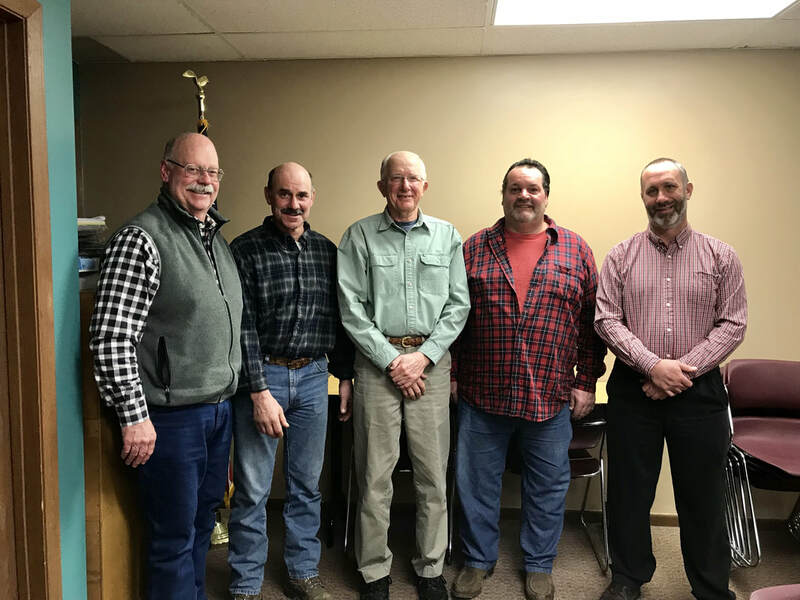 Board members are publicly elected by Carroll County residents. Each elected official may serve for a 3 year term and at the end of each term a board member may run for re-election at the Annual Meeting held during the fall. The purpose of Carroll Soil and Water Conservation District is a cooperative body that is to oversee soil and water management problems to conserve the natural resources, improve the incomes and maintain a desirable standard of living. The District Supervisors (board members) will lead the combined efforts of rural and civic organizations, state and federal agencies, county and local government, and individuals to accomplish these purposes. To vote on this years induction of board members or to run as a candidate please contact our office at 330-627-9852. The Carroll SWCD board meets on the 4th Tuesday of the month at 5:00 PM at the Carroll SWCD office.